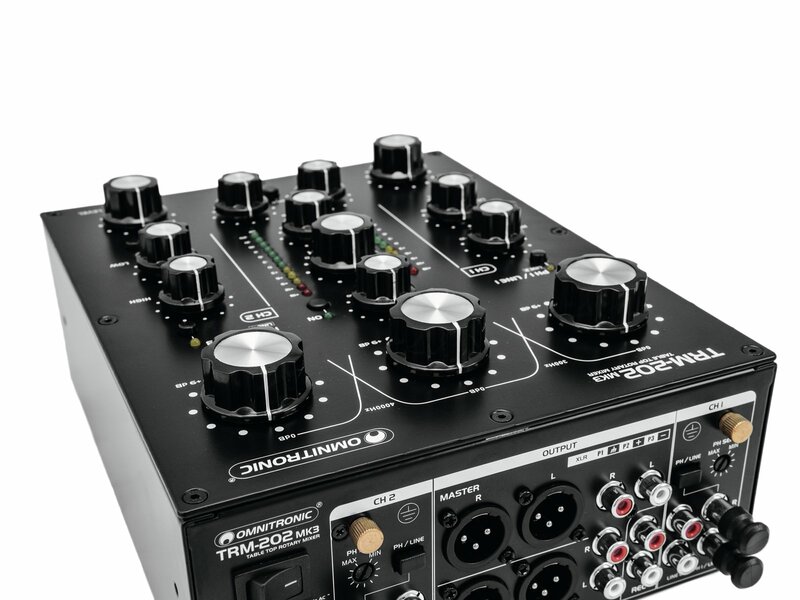 For some time now, rotary mixers have been making a big comeback in the world of electronic dance music. 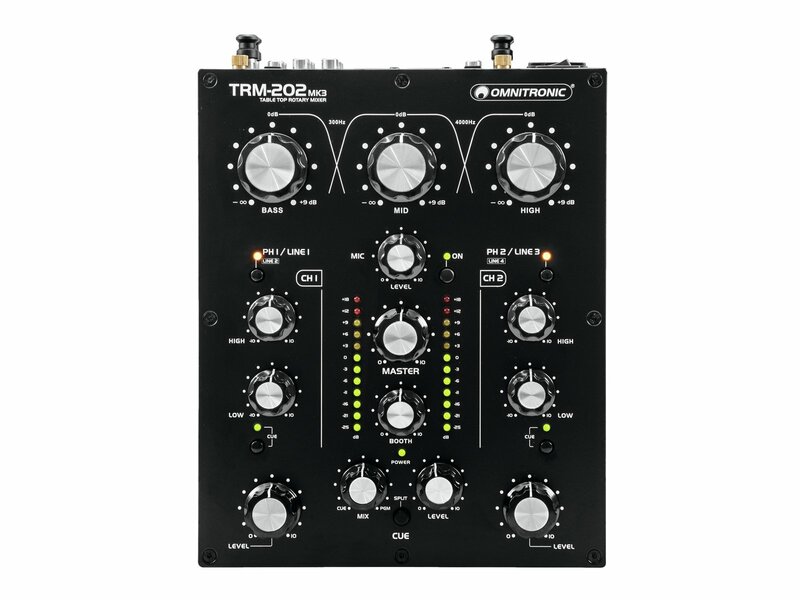 The TRM-202 MK3 from Omnitronic offers the DJ all the classic features of a rotary mixer with its ALPS knobs (Blue Velvet RK27) and the built-in 3-band frequency isolator. 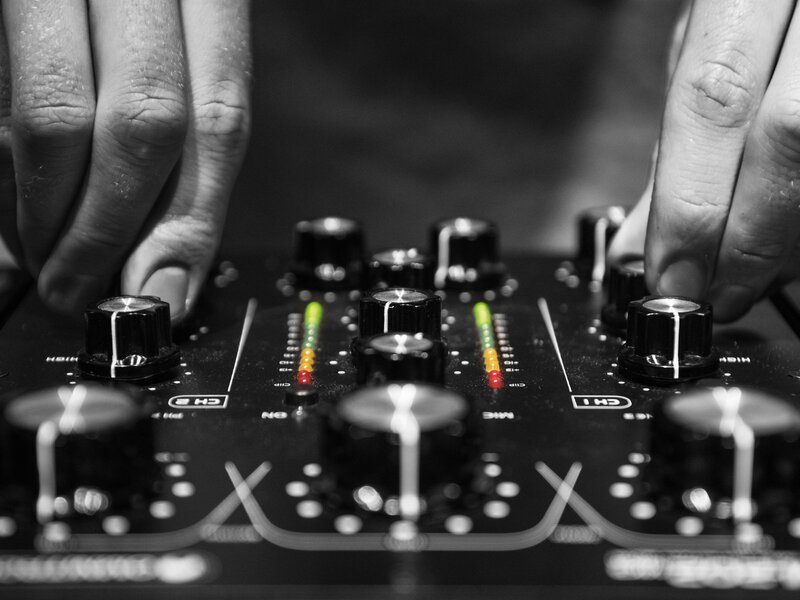 The high-quality components provide a good and appealing sound. 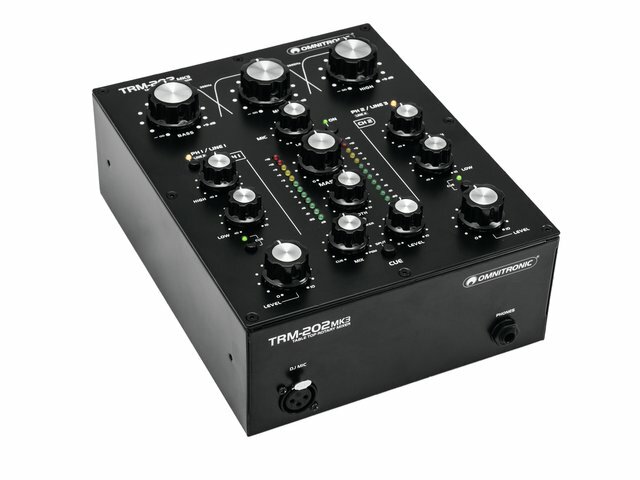 The large knobs of both channels allow very smooth transitions, which are difficult to set with a conventional mixer (with faders). 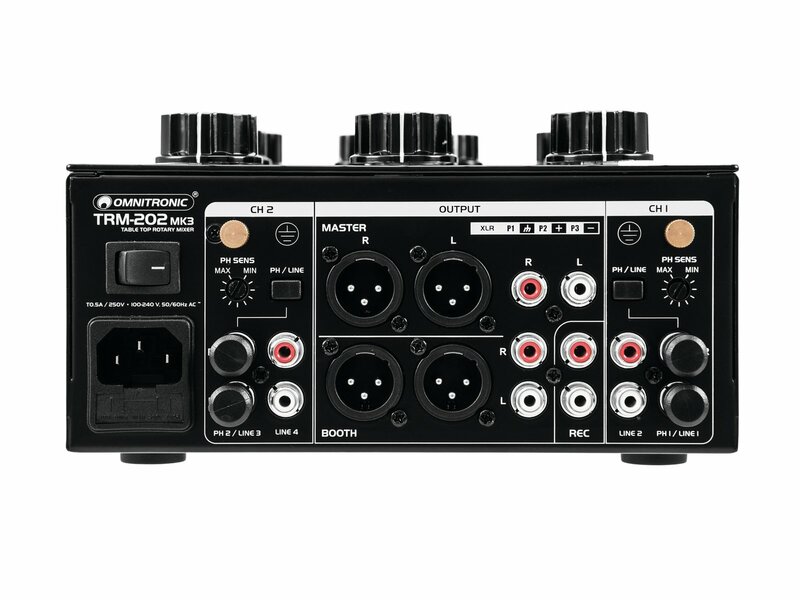 For both channels, you can switch between 2 x line & phono inputs or sources. 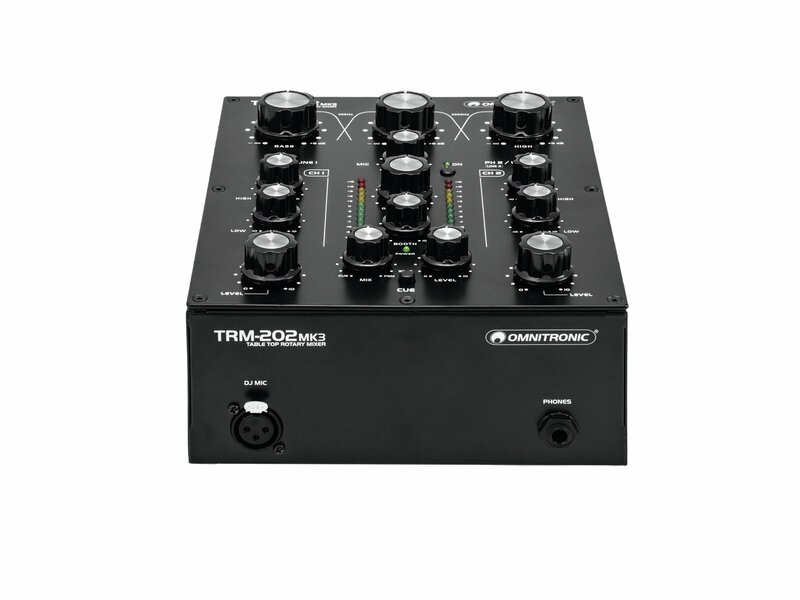 A microphone input is also available. 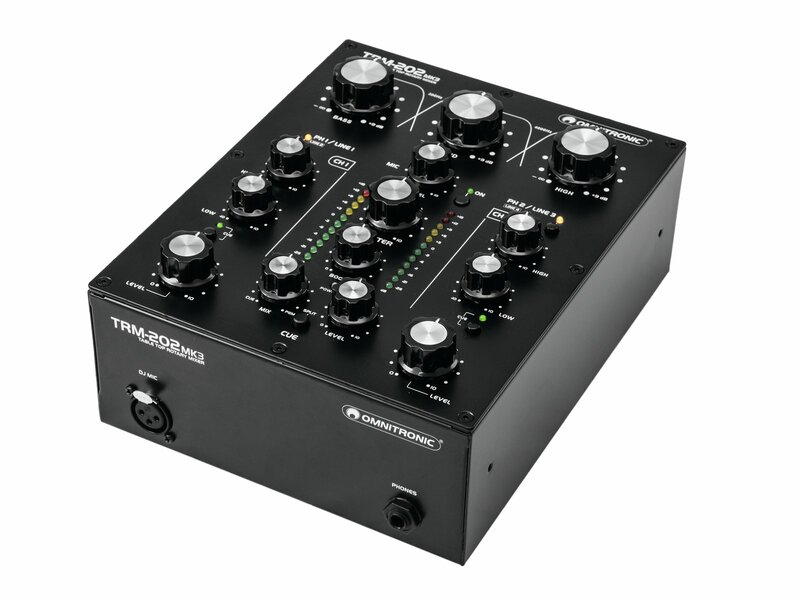 The isolator's kill characteristics completely eliminate bass, midrange, and treble for creative mixing. Due to the booth output and a separate volume control, the use of the TRM-202 MK3 in the club is no problem. 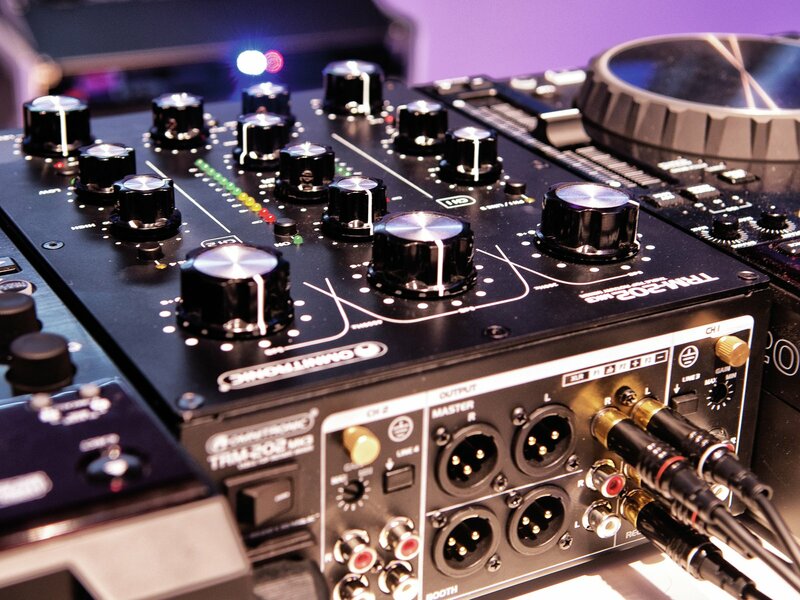 Thanks to the record output, it is also possible to record your own DJ set. Andrea Bano a.k.a DJ Baxx from Italy produces with his company Omni custom-made woodkits for our TRM-202MK3 2-channel rotary mixer. In his online shop you can choose between seven different kits.